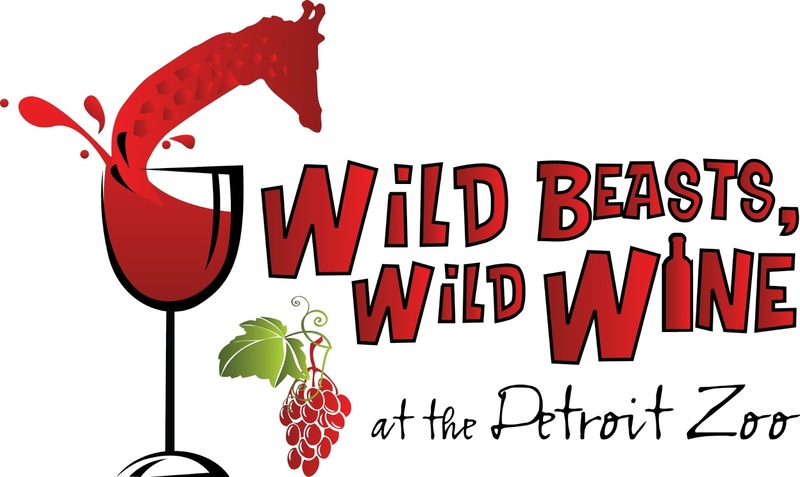 Raise a glass to wildlife at the Detroit Zoo's Wild Beasts, Wild Wine on Friday, July 26, 2013, 6 to 10:30 p.m. 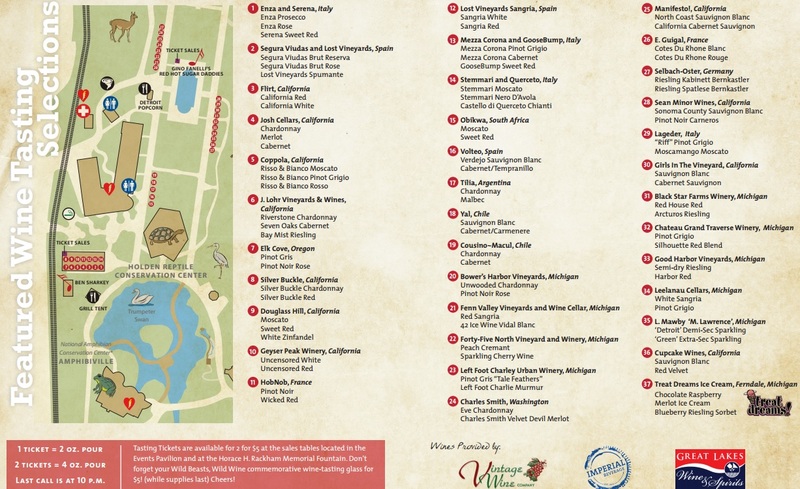 The event will allow guests to sample wine from more than 30 local and national wineries and vineyards while enjoying the Detroit Zoo’s award-winning habitats at twilight. 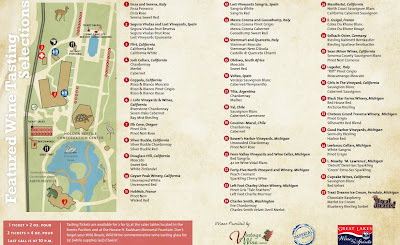 Click on the photo to enlarge the wine selection list. 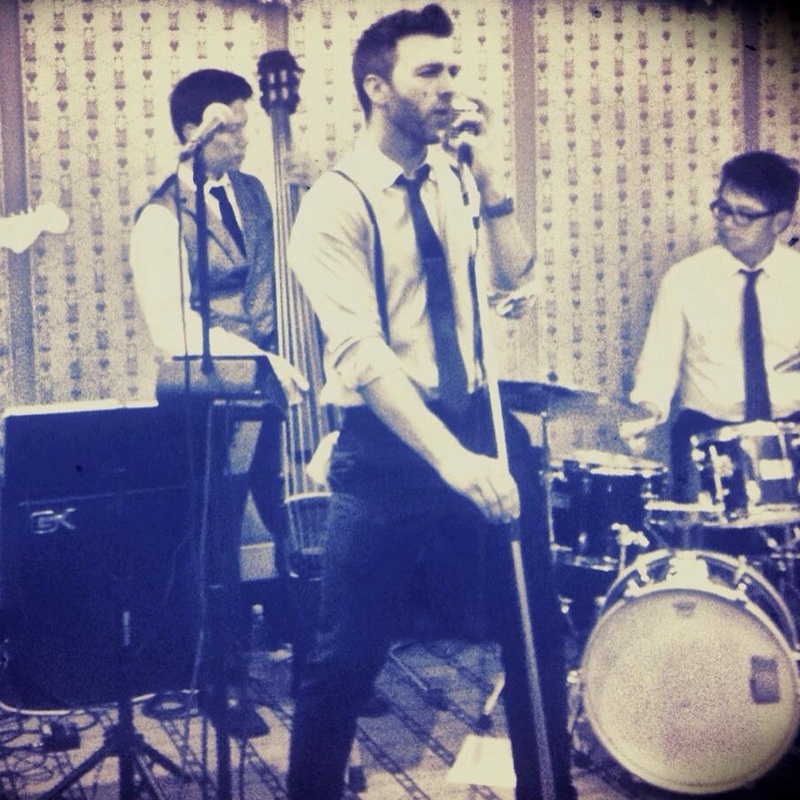 The wine-tasting experience will also feature live music by jazz crooner Ben Sharkey and Gino Fanelli’s Red Hot Sugar Daddies, after-hours access to the Zoo’s award-winning habitats, animal enrichment, and zookeeper talks. The event includes admission, parking and 10 wine-tasting tickets (additional tasting tickets and food will be available for purchase). I am excited to attend this event hosted by the Detroit Zoo. Not only because I love the zoo but also because this will be the perfect Mom's Night Out. Wine tasting while seeing the zoo and a break from the kids. Thank you! I'm also excited to see Ben Sharkey perform. I went to high school with him and have been following his career for awhile but so far haven't been able to attend one of his shows. I invite all of our mom friends to join me & Crystal for this fun night out. Advance ticket purchase is encouraged as space is limited and the event may sell out. Tickets are available for $35 until July 19; tickets purchased after July 19 will be available for $40 online or at the gate (if not sold out). Tickets are available online or at Window One at the front of the Zoo. Designated Driver (DD) tickets will be available online or at the gate up to the night of the event. DD tickets are $25 and include Zoo admission, parking and unlimited soft drinks. DD ticket holders are not permitted to consume alcohol at the event. 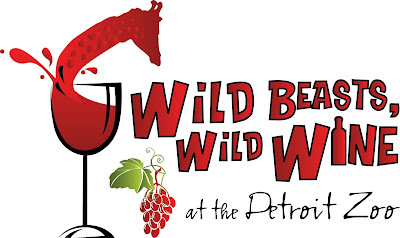 Wild Beasts, Wild Wine will take place in the Detroit Zoo's Events Pavilion, rain or shine. All attendees must be 21 or older; photo ID is required. A “grape” time will be had by all!